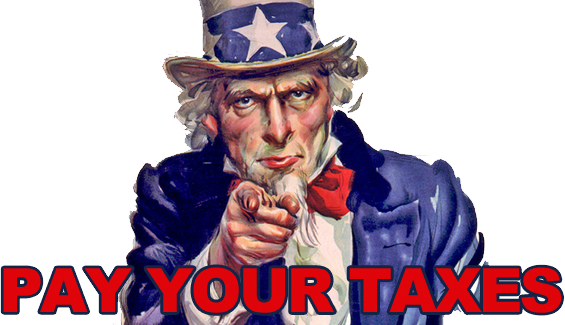 What Happens If I Don’t Pay My Taxes? Filing your tax return is a serious responsibility and you should do it regardless of the amount you earned. Unless you are very organized, it is hard to know throughout the year whether you get a refund or have to make a payment. If you realize that you owe money while filing your taxes but don’t have resources to do it, ignoring the situation is the last thing you should do. The IRS may not immediately request you to pay, or file taxes, which may cause false sense that they forgot. But in the computer age, the agency that is a bit overwhelmed will respond, just a bit later. If you don’t pay your taxes before or on April 15, expect a late payment penalty plus a 0.5% penalty on the amount you owe applied every month. To keep penalties to minimum the IRS recommends you pay as much of your liability as you can afford. It is important to know that there is no time limit of how long the IRS can pursue collection of those liabilities. Postponing the payment will only make your problem bigger. So what should I do when I don’t have money to pay for taxes? Despite what people may say the IRS is quite accommodating and reasonable when helping you meet your tax payments. Remember though that calling the IRS should be the first step in the process and it’s your responsibility. Speak to the IRS representative and discuss the possibility and viability of an installment payment. In certain situations it even makes sense to get a credit card with a low interest rate and make a complete tax payment. Some cards will extend a 0% interest rate for specific period of time and many people have taken advantage of those terms to avoid paying penalties. Keep in mind that only taxpayers with a plan a resolve to pay off the credit card within the promotional period should attempt that, otherwise the whole process defeats its purpose. If your inability to pay taxes is due to some extraordinary circumstances, you may file an application to have the time to pay taxes extended. the IRS may garnish portion of your wages to pay for taxes you owe; social security payments aren’t immune to that. any future tax refunds you may have will be automatically withheld. tax liens may be issued on a property you owe – since it’s a public record your credit score will most likely suffer. bank accounts may be frozen. Form 1127 – Application for extension of time of payment of tax due to undue hardship.